With Dorothy's help, I finally got the weeding under control. 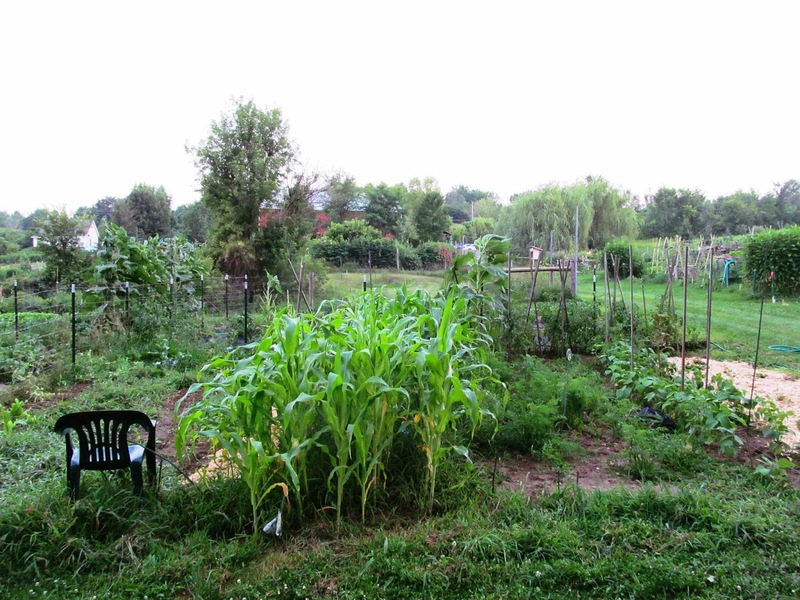 The results are above - - and the corn has gotten taller since this past Tuesday. Below is the first harvest. 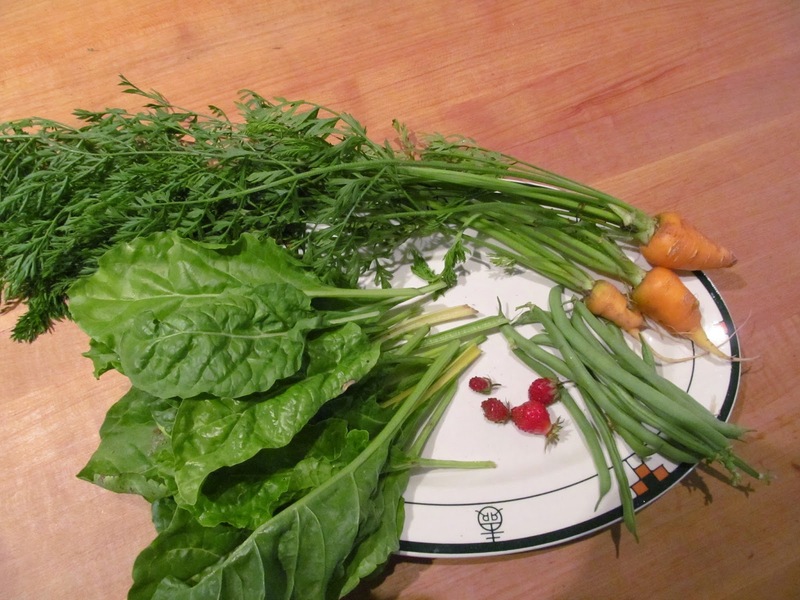 It's not enough for a crudite plate - - but it's great to get food from the ground. from the ever-bearing bushes my friend Keith gave me. Some of my friends and blog readers are out catching trout - - even in the water-starved Sierras! In Syracuse a few weeks ago, I fished a beautiful stream. There were no fish but I was finally getting the fly to land where I wanted it to. Have a great last week of July, everyone!